The company is one of the major Exporters & Suppliers of Rubber Conveyor Belts in Delhi. The Rubber Conveyor Belts are one of the standard material handling components for the industrial sectors. The company combines its engineering experience with the state-of-the-art Rubber Conveyor Belts. 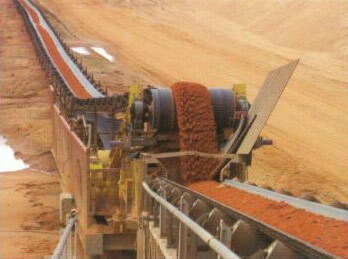 The Rubber Conveyor Belts find wide application in various industries. The quality of the Rubber Conveyor Belts meets the international quality standards. Successfully tested in some of the toughest conveyor belt applications worldwide, these Rubber Conveyor Belts are manufactured using specialized bottom rubber cover compounds. The Rubber Conveyor Belts help in the reduction of the total system power, reducing the power consumption by up to 12%.